The Government is extending its Crown Land Programme to Queenstown. She says the government hopes to “rebalance the market” by increasing the land available for housing through the introduction of surplus Crown land into the market. Under the Crown Land Programme so far, 400 new houses have been built in Christchurch and another 2700 are being built in Auckland on Crown land. Before any Crown land in Queenstown can be sold for housing, it is subject to a right of first refusal in favour of Ngāi Tahu under the Ngāi Tahu Claims Settlement Act 1998. A Memorandum of Understanding was therefore signed last Friday between the Crown and Ngāi Tahu Property to explore options to develop vacant or under-utilised parcels of Crown land in Queenstown for housing developments. She explained that the Government is exploring vacant Crown sites around Queenstown, while MBIE officials are working closely with the Ministry of Education in respect of the potential acquisition of the old Wakatipu High School site. 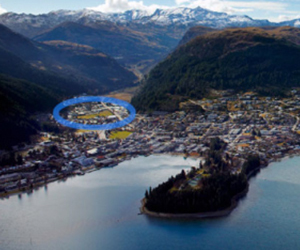 “We want to explore vacant or underutilised Crown land within walking distance to Queenstown’s town centre that can be developed into social, affordable and market housing”, she said.